I think I speak for all of us in the Northeast when I say “Come onnnn, Spring!! 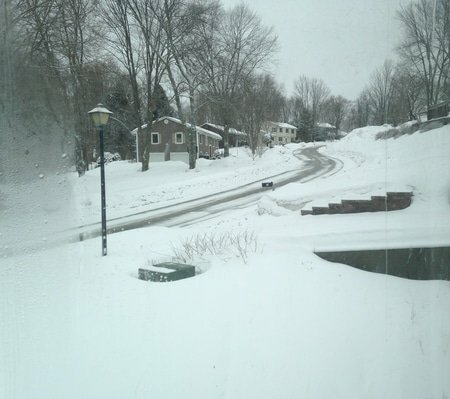 !” Bring on the melting of the snow, the gorgeous green grass, flowers blooming, gardening, the warm sun heating up our faces, and lots more time outside (that’s not spent shoveling snow)…. 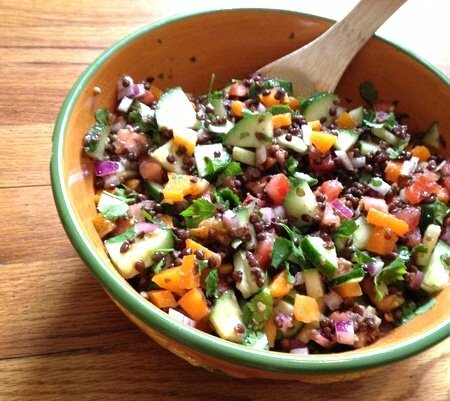 One of my favorite things to bring to one of these gatherings is this Lentil Salad. 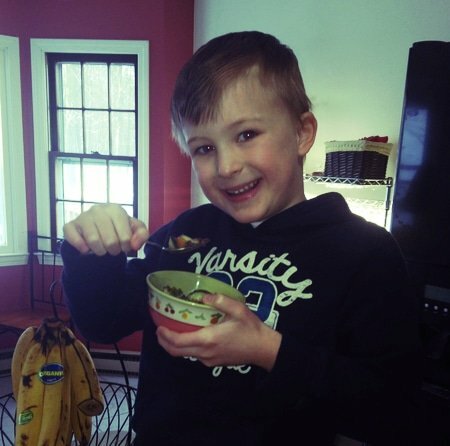 It takes less than 10 minutes to whip up (5 if you’re really fast) is light, filling, choc full of healthy ingredients, and a definite crowd pleaser (it’s one of my 7 year old’s favorite dishes). 🙂 It also works perfectly as a meal, side dish, or snack. Serves 4-6. Lasts for 2-3 days in the refrigerator. 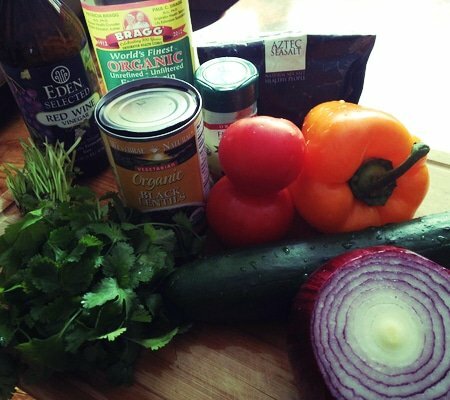 Mix all salad ingredients together in a large bowl. Mix the dressing ingredients together in a small bowl. Once mixed, pour into the salad. Stir and taste. Add in more vinegar, olive oil, salt and/or pepper if needed. Optional: Mix in optional feta and/or olives. Additionally, you can top each individual serving of lentil salad with sauerkraut. My lentil salad is extremely forgiving and easy to adjust. Let us know how you spiced up this recipe to make it your own! Quinoa makes a great substitute for the lentils or half of each. As you say, this is a very adaptable recipe! If you really want to up the vitamin content AND living foods, fresh taste – sprout raw lentils for 1 day rather than cook them. YUM! 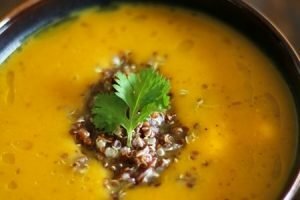 Soak lentils overnight, rinse, drain and lay out flat to sprout for one day – by the next morning you’ll have lovely little tails on the lentils and they will be loaded with vitamins and nutrients and more digestible!. Thank you for the suggestion of sprouting the lentils. This would be my first choice! Delicious and nutritious!